Rick Trynoski and his older brother grew up in the coal region of Northeast Pennsylvania. Decades later, a sleepness night can still summon to mind the pleasant experiences of his childhood near Nanticoke. "Everybody knew each other," Trynoski said. "You had a sense of community. People looked out for each other." Trynoski, who was elected to Family Design Resources' board of directors on Feb. 22, said exploring the organization's mission made him more aware of how fortunate he was to have a caring family and supportive community as a child. "I think to myself, what if I didn't have that?" he said, suggesting the empathy he brings to his new role. He cited communication skills and the ability to work with others among personal strengths he offers FDR. Trynoski recently retired as fiscal grant coordinator at Temple University Harrisburg and has 36 years of experience in financial analysis and planning at the state level. Trynoski earned a bachelor's degree in government from King's College in Wilkes-Barre and took graduate courses in government administration from the University of Pennsylvania, Harrisburg, and in accounting and data processing from Harrisburg Area Community College. 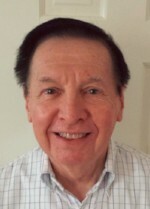 He moved to the Harrisburg area after graduating in 1969 from King's College, where he met his wife of 47 years, Mary Ann. The couple has two grown children. "Life's been pretty good to me," he said, by way of explaining his commitment to community service, which includes currently serving as chairman of the Cumberland County Planning Commission. "When I can contribute, I want to contribute and make things a little bit better," he said.